When Apple first released the new emoji support in iOS 12.1 beta 2, many were quick to criticize the bagel. “What midwestern bagel factory did this bagel come out of?” asked Nikita Richardson of Grub Street. Today Apple released beta 4 of iOS 12.1, and the bagel design has changed. 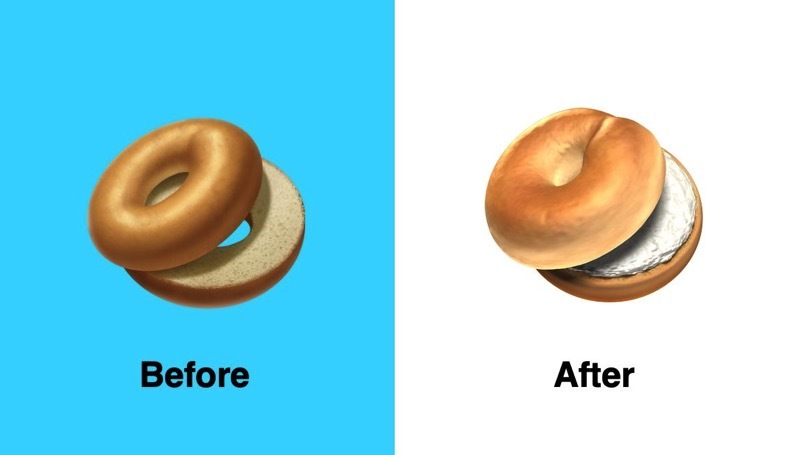 Apple first released a preview of new emojis coming in iOS 12.1 beta earlier this month, which contained the first depicted bagel—sans cream cheese. Some people weren’t exactly happy about this plain bagel, so the latest update in iOS 12.1 beta 4 adds cream cheese.